The Hollywood Reporter has confirmed that Steve Ditko, the legendary co-creator of Spider-Man and Dr. Strange, has passed away at the age of 90. Ditko was found in his Hollywood apartment a week ago, believing to have passed days prior. In 1961, Ditko and Lee created Spider-Man. 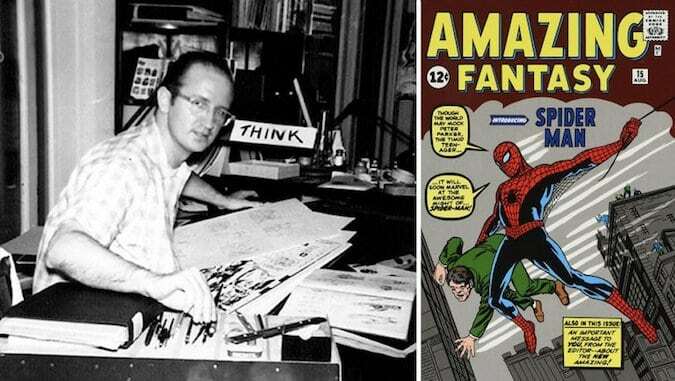 Lee, the editor-in-chief at Marvel Comics, gave Ditko the assignment after he wasn’t satisfied with Jack Kirby’s take on the idea of a teen superhero with spider powers. The look of Spider-Man — the costume, the web-shooters, the red and blue design — all came from Ditko. Ditko followed up his debut with Spider-man by creating the popular Doctor Strange in 1963. After a mysterious departure from Marvel Comics, Ditko continued his career and ended up creating characters for Charlton Comics that were later purchased by DC. Ditko returned to Marvel in 1979, where he worked on Machine Man and the Micronauts, and he continued working for them as a freelancer in the 1990s. Among his last creations was Squirrel Girl in 1992, who has become a cult favorite in recent years. Mr. Ditko has no known surviving relatives, he leaves behind a legion of beloved characters that he either created or co-created, including Spider-Man, Dr. Strange (as well as most major figures in their Rogues’ Galleries), the Ted Kord Blue Beetle, Captain Atom, the Question, Mr. A, the Creeper, Hawk and Dove, Shade the Changing Man, the Prince Gavyn Starman, Speedball, and Squirrel Girl.